Hello! Saw your post about the clearanced TLK stuff. Can you recall how much the voyagers and leaders were priced now? Hello there. I see that you're a Riko fan as well. Hmm. well it's a start. Really hoping for an anime so I can get to know the girls more. Reading stuff off the wiki is fine but an anime is even better. 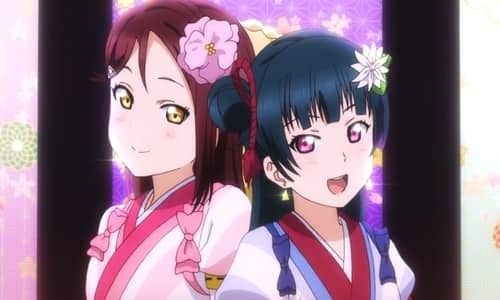 I won't mind a new anime series that features the PDP girls, but I can't see that happen in the next 2-3 years since having another idol group that competes with Aqours at the same time won't be the best idea. Speaking of PDP, my favorite PDP girls for now would be Shizuku, Karin and Setsuna. thanks! I really liked her design so I used her as my sig. hahaha. YMMV on that. I guess it drags the scene a bit for me. Plus when I first watched it, AOE being a really long movie I really needed to go to the restroom but nah,I can't miss the final battle! Interesting, when I was going to watch AOE for the first time, I've seen on a ticket, that film lasts only 100 min! I didn't know, that it's just a placeholder digit:lol I was surprised, that it was almost midnight, when I out from the theater, I even have a night at railway station, because missed the last train. But it was a fun night, because I was FUUULL of impressions! yeah, the movie was surprisingly long! I guess it makes for an exhausting movie sometimes but there are great scenes all throughout. Once you're tired the next big scene pulls you back in. Ah, welcome to the boards! It's an awfully interesting place that despite the occasional bickering, brings Transformers fans far and wide together in one community. Express thyself and embrace the surroundings: you'll fit right in. I'll be hanging out mostly in the toy forums since I like to focus more on the collecting aspect. I do enjoy the fiction though!